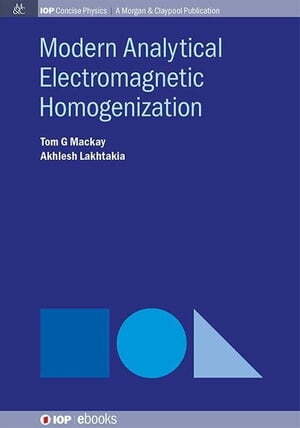 Collins Booksellers - Modern Analytical Electromagnetic Homogenization by Mackay, Tom G, 9781627054270. Buy this book online. Electromagnetic homogenization is the process of estimating the effective electromagnetic properties of composite materials in the long-wavelength regime, wherein the length scales of nonhomogeneities are much smaller than the wavelengths involved. This is a bird's-eye view of currently available homogenization formalisms for particulate composite materials. It presents analytical methods only, with focus on the general settings of anisotropy and bianisotropy.